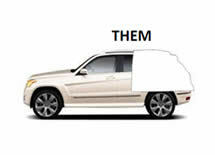 With Cooney Insurance Agency, We Shop, You Save! Getting less insurance is not smart. But paying less for better value is. 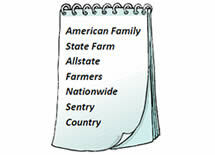 If you’re insured by one of these companies, you may be eligible for better Value and Smart Savings. You could qualify for a discount of up to 10% just by switching. 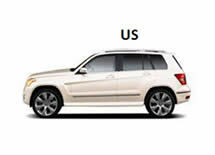 Write your home and auto with us and earn other available discounts that may save many customers hundreds of dollars. Most importantly, you’ll get expertise, trustworthy advice, and personal service. Only from an Independent Agent. 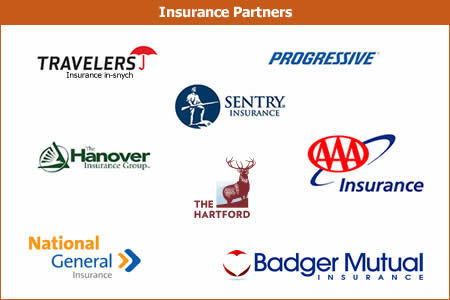 We provide auto insurance, home insurance, motorcycle insurance, recreational vehicle insurance, homeowners insurance, truck insurance, renters insurance, condo insurance, life insurance, sr-22 insurance, and health insurance throughout Southeastern Wisconsin including: Milwaukee WI, Waukesha WI, Brookfield WI, Pewaukee WI, Hartland WI, Delafield WI, Oconomowoc WI, Okauchee WI, Dousman WI, Watertown WI, Menomonee Falls WI, Sussex WI, Jefferson WI, and Fort Atkinson WI.